Relaxing aromatherapy face and neck night cream. Calms your soul while it moisturises your skin. This beautiful aromatherapy resting cream is rich in natural plant extracts, anti-oxidants and a fusion of relaxing essential oils to leave your complexion ultra-smooth, moisturised and settled whilst working to calm and aid relaxation. 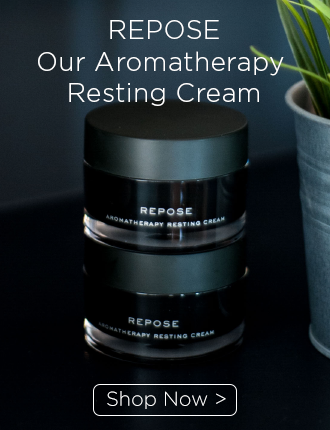 Infused with hops to encourage restful sleep and help prevent premature ageing by promoting firmer skin, it is a wonderful treat when you and your skin need a rest and want to wake up feeling revived! The cashmere texture glides on skin and quickly absorbs. The superb blend of hops valerian, chamomile, frankincense, lavender, patchouli, geranium, bitter orange and clary essential oils are all renowned to aid deep relaxation and bring a sense of calm. This indulgent aromatherapy facial is infused with generous anti-inflammatory ingredients and will soothe, calm and nourish a tired, irritated or unhappy complexion. 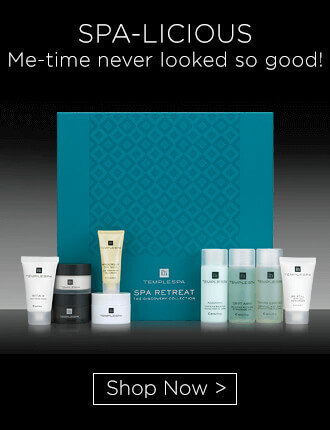 A divine treatment that begins with lymph draining techniques, followed by a relaxing, tranquil face and scalp hot oil massage. Pure Bliss. 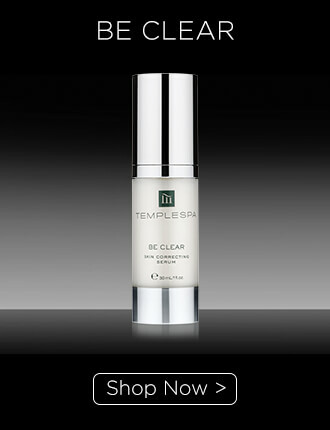 As a night-time & resting cream, apply a liberal amount of REPOSE all over your face and neck and leave it to sink in. As the perfect down time day cream when great way to use this product is on those days when you want to slumber and relax. Apply in the evening or anytime you and your skin need to rest, apply cream to your pulse points to relieve anxiety and provide a sense of calm. 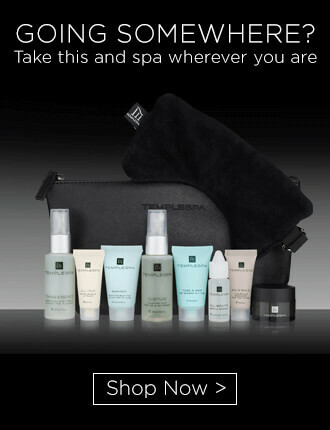 Turn your seat into a spa: once on-board massage a layer of Repose all over a clean face and neck. Re-apply a couple of times during the flight, especially when you want to take a nap. The calming fragrance will help you snooze and the richness of the luxurious texture will perform high altitude moisturisation. Arrive rested and revived! 1. After cleansing your skin, take one or two generous dots of REPOSE into your palms and spread it lightly between each hand. 2. Hold your hands up to your face, taking time to breathe in the calming aroma whilst concentrating on the process of relaxation. 3. 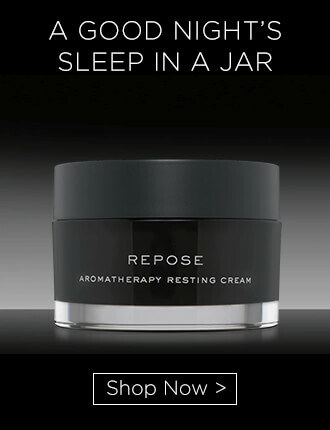 Apply REPOSE evenly all over your face and neck, using upward and outward movements massaging it into the skin. 4. Dot onto pulse points to help relieve anxiety. 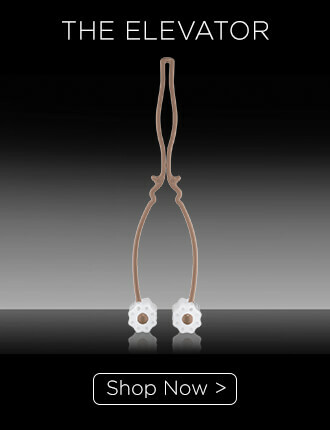 Chamomile is known for its soothing and relaxing properties, it has a calming effect and can be used to aid sleep. It is rich in essential oils and anti-oxidants giving it anti-irritant and anti-inflammatory properties making it ideal for sensitive and acne prone skin. It helps to sooth, restore and condition skin, moisturising and nourishing and helping to eliminate free radicals that damage skin and accelerate the ageing process. With its anti-inflammatory, anti-irritant, soothing and anti-microbial properties it helps encourage the growth of healthy hair and nourishes and conditions both hair follicles and the scalp, soothing irritation and helping to eliminate dandruff.